‘Tis the (short and sweet) season of big, beautiful peonies! This time of year seems to be full of fleeting, seasonal highlights from fiddlehead ferns and rhubarb to our favorite, peonies. The season for peonies is always short and sweet and, of course, they are incredibly gorgeous so it’s easy to see why the peony flower always makes its mark. 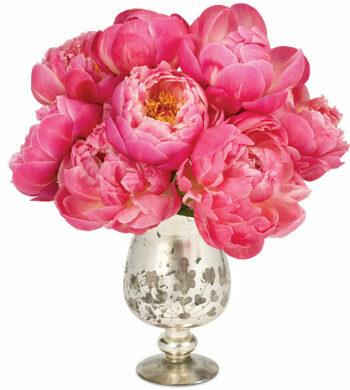 They also have a rich history and the meaning of peonies make them popular as well. Peonies are native to temperate and cold areas of the Northern hemisphere which is how they’ve become iconic in the late spring to early summertime here in the United States. However, it appears that they have also enjoyed popularity in areas of China and Tibet for centuries. In ancient China, peonies were used to flavor food, create medicines, and were used ornamentally in the imperial gardens. White peonies are a sophisticated choice with a crisp, clean look. When peonies made their way to other parts of the world, they were also regarded as a healing flower in Europe. 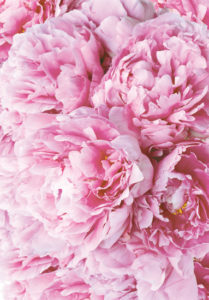 In fact, some in Europe believed peonies cured many diseases such as epilepsy and teething. These mystical qualities have only added to the allure of these big, beautiful blossoms and heightened the desire to procure them. Even though we don’t see peonies in many medicines or culinary applications today, they are still popular for their breathtaking beauty. Peonies come in various colors with pink being the most popular. Pink peonies are romantic and are seen in many cultures as a symbol of good luck and prosperity. A pink peony bouquet represents riches and honor which is perhaps why they have become the official 12th wedding anniversary flower. Another popular peony color is also a classic: the white peony flower. 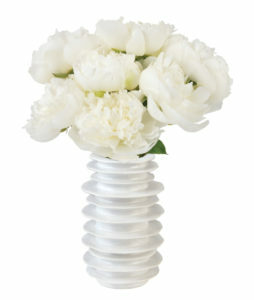 A sophisticated choice, white peonies are romantic without being overly feminine, giving off a crisp and clean feel. What’s better than a bouquet of white flowers to give a room a breath of fresh air? White peony bouquets have the trademark full bloom and in various shades of white, they look striking in any floral arrangement. 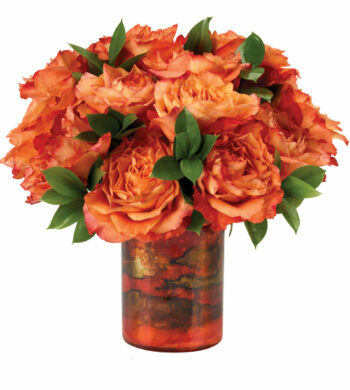 Roses like the ones in our Caribbean Sunset Bouquet are a wonderful peony alternative. As we mentioned before, peony flowers have a short season, beginning to bloom in late May and wrapping up around early June. The ephemeral quality of peonies adds to their allure and many try to capitalize on their season by adding them to bridal bouquets and wedding floral arrangements. However, if you love the pretty peony but fear they won’t be in season, there are lovely alternatives. When peonies are difficult to procure, many turn to other types of flowers with similar blossoms or colors. 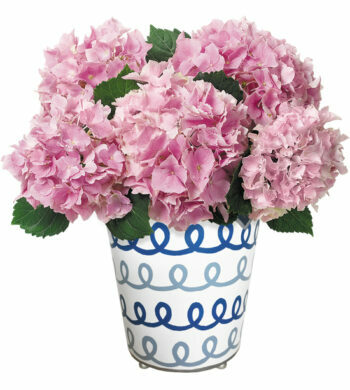 We love large, luxury roses, tulips, or even pink hydrangeas as a substitution for the quickly-passing peony. Tulips have a fresh, garden feel like peonies and are also a harbinger of spring, making them a wonderful replacement for peonies if you’re looking for spring flowers for your home décor. 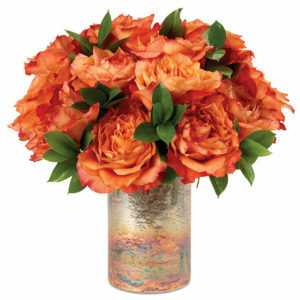 Large roses and hydrangeas are also beautiful peony alternatives with similarly fluffy and broad blossoms to fill out any bouquet or floral arrangement. So even though we may have to bid adieu to this romantic flower sooner than we may want to, there are always other, stunning choices that are perfect for any occasion. But for now, let’s have a last hurrah for peony season 2017!